Bozeman in the winter can be an enchanting wonderland of snow, but when you have a young family, it can also be hard to find activities to do indoors without getting cabin fever. Families in the Gallatin Valley are lucky to have a wealth of entertainment available at their finger tips if they are familiar with the community organizations providing play, hands-on exploration and adventures. Activities abound for children of all ages and more importantly, all of the incredible experiences around town allow for parents and children to play together and experience this exciting world by learning through play. Located at Willson and Olive, offers hands-on exploratory play based in science and technology six days a week. With four floors of activity and unique exhibits that encourage interaction and problem solving, CMB encourages families to join together while having fun. Additionally, the STEAMlab at the Museum is a high-tech makerspace designed for children, ages 7 and above, to experience 3D printing, computer coding, robots and more in an inspiring, engaging community-based center. Be sure to check out their calendar of events for special Family Science Days, Women in STEM Days and more! The MOR is Bozeman’s dynamic dinosaur science center. Not to mention the incredible rotating exhibits. This Spring, the Children’s Illustrations exhibit will be sure to please. Weekly, programs are offered to engage the youngest visitors through tours, literacy and more. Visiting MOR throughout the week will offer something engaging for parents and children. 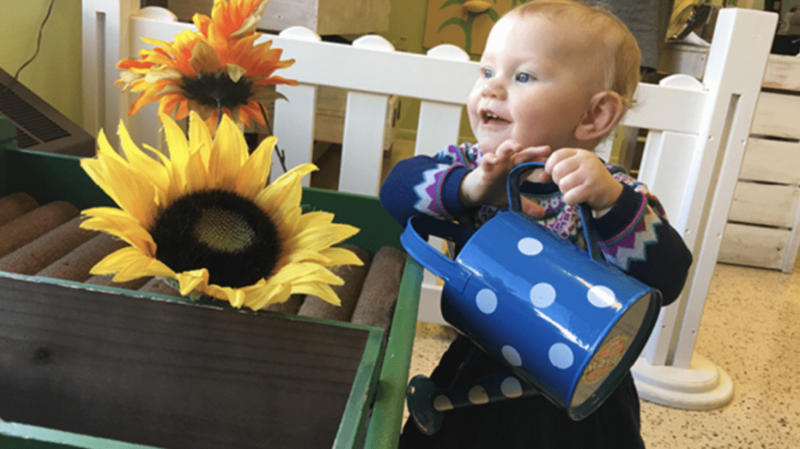 Because one of the easiest ways to engage with babies and young children is through story time and playtime, heading to the Bozeman Public Library on E. Main St. is sure to bring an amazing assortment of opportunities for collaborative play. Through their suite of programs, families are sure to find engaging activities. Additionally, there are opportunities throughout town to engage your littles and whole family in interactive play or family-friendly entertainment. Some of our favorites include: Friday afternoon play at Pilgrim Congregational Church; Family Movie Nights at the Ellen Theatre; Open Gym at Willson Gym; the incredible suite of classes offered by the Bozeman Parks and Recreation department; bouncing around at the Fun Zone. All of these activities are affordable for families, and most of them provide the much-needed indoor exercise that will take the wiggles right out of your cooped up littles. One of the best places to check all of Bozeman’s offerings is to check online calendars, like the one at BozemanMagazine.com when you’re feeling like you have exhausted all of the indoor spaces. There are so many unique opportunities that you might find. Enjoy Bozeman’s abundant outdoor activities, including all of the amazing ice skating rinks around town, but don’t worry if you need an indoor space to run, play and discover! Bozeman’s community-minded organizations are dedicated to bringing local and visiting families quality experiences that are engaging, inspiring and fun. Abby Turner is the Executive Director of the Children’s Museum of Bozeman and has been a Bozeman resident for 17 years.